Star Wars: The Last Jedi has lit the internet up with both praise and critique, an overflow of love and hate. It’s actually pretty poetic, considering a theme of the movie is about finding a balance between light and dark. As the debate continues a large petition circulating online right now focuses on Luke’s actions and argues the portrayal of the Jedi is so horrid, Disney should scrap the record-breaking box office hit from the official canon and completely redo the story. These people are wrong. 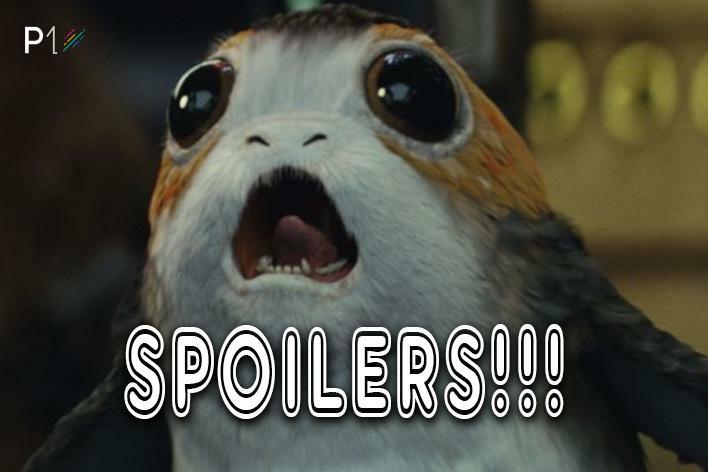 WARNING: Full The Last Jedi spoilers ahead. Read at your own risk. The problem, if you haven’t seen the movie and are still reading this article, is Luke attempted to kill Ben Solo back when he was training his young nephew. Luke’s justification for this move is because he saw the evil lurking in Solo, and wanted to eradicate it before it could spread. Ironically, Skywalker’s actions further fueled Solo’s quest for power and was the driving reason for Solo to turn into his alter ego Kylo Ren. If that moment felt off to you, like Luke was abandoning the ways of the Jedi and becoming evil, then congratulations. That’s how you’re supposed to feel. Luke even feels this, which is why he decided to run away to a small corner of the galaxy and hide for the rest of his life. He knew he did something wrong, and couldn’t face the repercussions of his actions, especially from Han and Leia. This point is driven home even further when Rey shows up, asking what happened to the legendary Luke Skywalker. The rebellion is failing and the Ultimate Hero is needed once again to come save the day. However, Luke knows he isn’t what people want him to be. He can’t be the force of pure good people think he is, because of his actions in the past. He’s flawed, he’s human. If this makes you stop and look critically at who your heroes are, that’s a good thing. Allegations against many notable people like Louis C.K., Al Franken and Matt Lauer have made us rethink if those we look up to should be put on pedestals and trumpeted as our favorites. The petition ends with the line “let us keep our heroes.” Maybe our heroes know they have reason to not be seen as such. Maybe it’s time to make some new heroes. So what do you think? Are you still upset with what The Last Jedi did to Luke Skywalker? Do you like the flawed portrayal of a man who is capable of error? Let us know your thoughts in the comments section below, but please keep it civil.